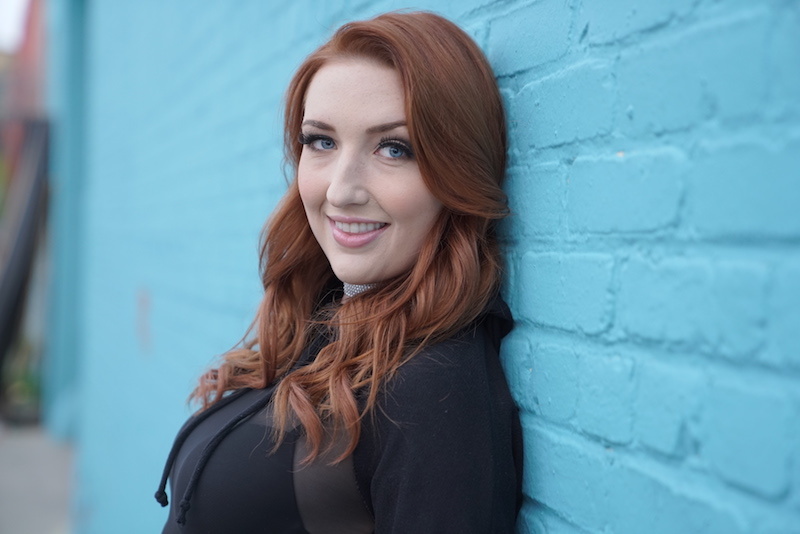 Born and raised in Edmonton, Alberta, Canada, Brittney Grabill was an athlete until scoliosis made that difficult; after having major back surgery, her grandfather gave her her first acoustic guitar and taught her the chords to “Blackbird” by the Beatles. 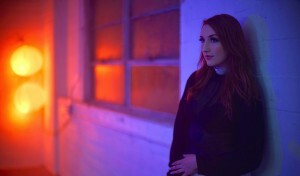 Followed by her new found love of music, she started performing at different cafes around Edmonton and eventually saved up enough money to record her first single, “I Like You.” Initially, her music style began as folk and she often performed with a live band, until she was offered the opportunity to work with a programmer and started to explore the world of pop music. Enthused by the amount of energy and entertainment she found within the pop genre, her music style shifted. Last year in 2016 was full of realizations for me, as I started working with pop producers and experimenting with fully electronic songs. It has opened up many doors as a songwriter. And going into 2017, I am now sharing a taste of the new music direction I am headed in, with three new singles out this year. My other realization was the business ownership aspect of being a musician. I just finished up a two month program in Toronto at Canada’s Music Incubator to educate myself more and build contacts in the music industry. I just flew into Los Angeles from Toronto, looking for ways to distract myself from having to unpack and do laundry. Listening to the Gallant playlist in the background on apple music. I was very much into sports growing up and then had major back surgery at the age of thirteen due to scoliosis, and therefore couldn’t do my sports anymore. I found acting and music as a new outlet for me and my grandpa taught me how to play guitar. I pushed myself to song write a ton of bad songs before I felt I started to get good at it. I do love the art of acting and film-making also, and having the music background gives me another way to approach it than others who solely focus on film-making. Let’s talk about your newest single, “I Try.” Where did the inspiration for this song come from exactly? I’ve been in a happy relationship for a long time so I’ve never experienced online dating, but see a lot of my friends do it. You see a perception of someone filtered by what they want you to know about them, which I think is why guards are up when it comes to finding love for most people. You have resistance to let someone in. That is what first inspired the songwriting process for this tune. Can you please explain how you got involved with advocating for children’s health? How do you think music ties in with it all? I had back surgery at the Stollery Childrens Hospital and spent a lot of time there as a kid. I wanted to help with fundraising because the money goes towards the machinery at the hospital, which was a huge factor into the lifestyle I am living today. Music gives people hope, or shows our connection with each other that we are not going through this alone. What has it been like performing with children at hospitals? Can you recall of particular moment where you really happy to be there singing for them? It was a surreal experience being at the hospital performing for the first time and meeting a young girl who had the same doctor as I did. Seeing her look up to me as the example of what her life could be like if she stays strong and brave and gets through the recovery was incredibly. I remember her name was Piper. I’m curious to know more about your Storyhive project and where the idea for it all came from? When does this contest end? What has the response been like so far? Storyhive is based in Canada and grants artists every year the financial means to make their projects come to life. I submitted a music video treatment for my single “Created Love” where I would bring diverse couples on screen that may have faced adversity in society, yet love got them through. I wrote the song last year for when my mom got remarried. I saw her go through a divorce and open herself up to love again. Even with my surgery as a kid, I have a large scar and physical limitations, but I never let that be an excuse for myself to be unworthy to finding love. What do you think of social media and the reach you’ve been able to have through sites like Facebook, Twitter and Instagram? How often are you posting on them all? I can’t deny social media as an incredible marketing tool, but I have been guilty of checking friends Facebook’s to get caught up on their lives rather than actually reaching out. I try to use social media for business rather than looking at it for personal use and connection. My last few obsessions were Gallant and James Bay’s latest albums. As for favorite artists, I’d say Justin Nozuka, Bon Jovi and Ray Charles. Those are my music go to’s. Any 90’s throwback playlist too gets me in a good mood. The ongoing theme of self love and exploration. I hope it brings joy in some way to their lives like it has for mine.